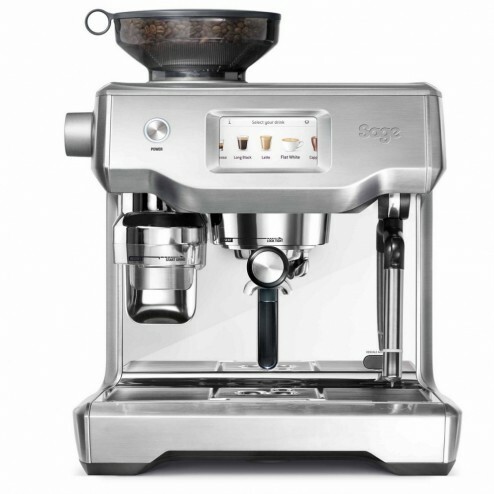 Sage the Oracle™ Touch is an automatic coffee machine with an automated, touch screen operation simplifies how to make your favorite cafe coffee in three easy steps - grind, brew and milk. Sage the Oracle™ Touch is an automatic coffee machine with an automated, touch screen operation simplifies how to make your favorite cafe coffee in three easy steps - grind, brew and milk. 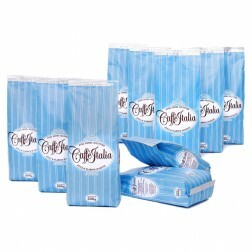 You can easily adjust the coffee strength, milk texture or temperature to suit your taste. Then save it with your own unique name. 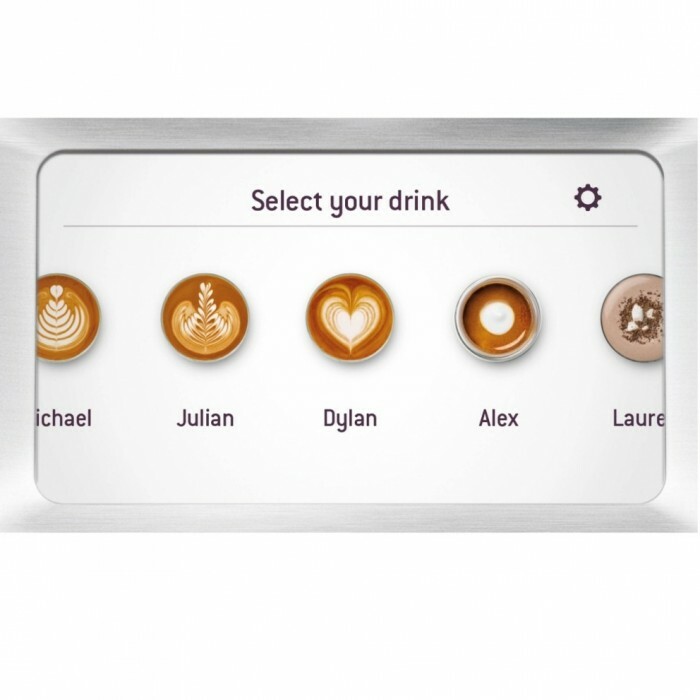 Create and save up to 8 personalized coffees. Swipe. select. 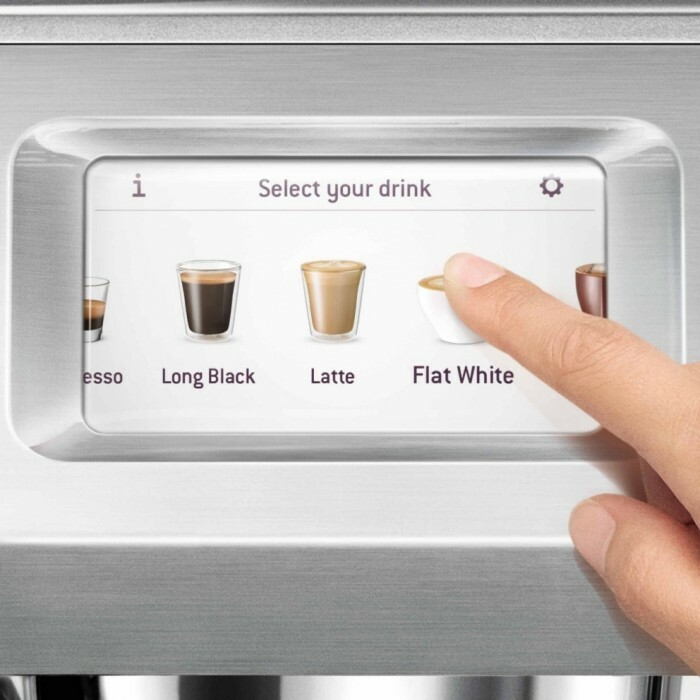 enjoy with automation at every stage, simply swipe and select for espresso, long black, latte, flat white or cappuccino and enjoy café quality coffee at home. 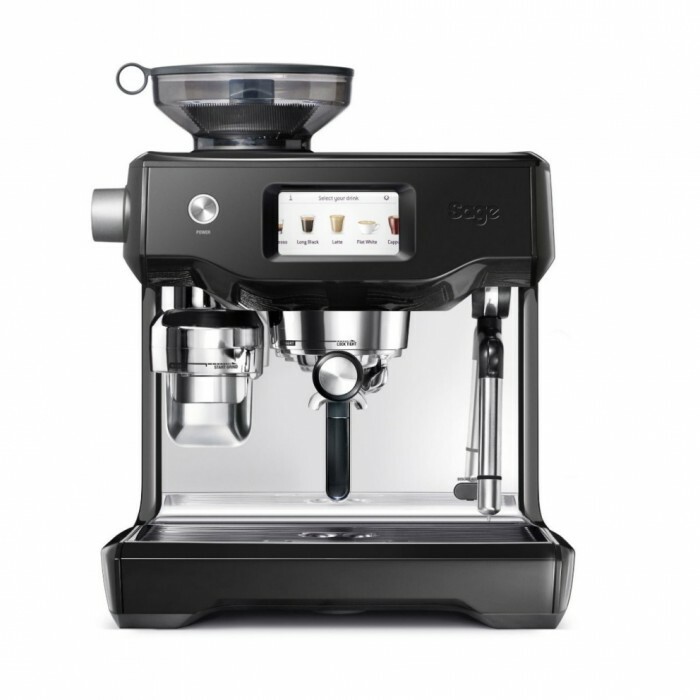 Dose amount the integrated conical burr grinder automatically grinds, doses and tamps 22 grams of coffee, similar to the commercial machine in your favorite cafe. Precise water temperature the difference between an ashy or balanced tasting espresso can be caused by temperature change as little as 1ºc. the oracle™ touch uses digital temperature control (pid) technology, this ensures the temperature is kept at its optimum range coupled with dual stainless steel boilers and a heated group head. Optimal water pressure the over pressure valve (opv) is a commercial feature included in the oracle™ touch. 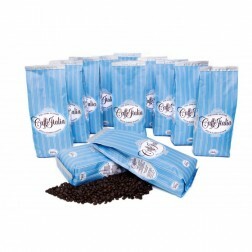 this limits the maximum pressure throughout the extraction, helping prevent bitter flavors in the coffee shot. it also has true low pressure pre-infusion, which gradually increases the pressure to gently expand the grinds for an even extraction. 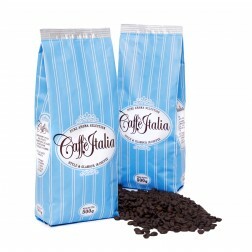 Sufficient steam pressure a cafe quality coffee is a delicate balance of espresso flavor and rich sweet milk with a micro-foam texture. 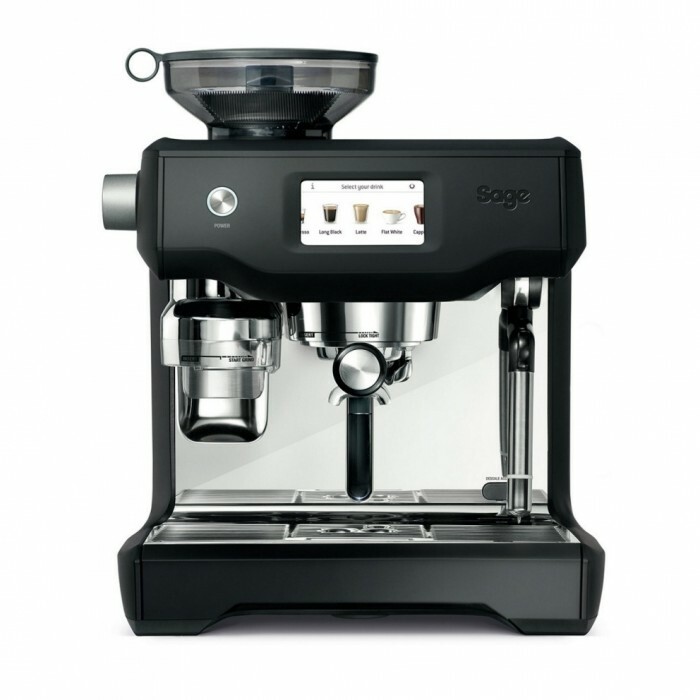 the steam wand, powered by a dedicated steam boiler, automatically textures milk to your taste and preferred temperature, delivering barista quality silky micro-foam that enhances the flavour of coffee. then it cleans itself! One touch americano the innovative one touch americano feature delivers a double espresso, and then separately through a dedicated spout, fills the cup with hot water, the same way as any good commercial machine. Dedicated steam boiler with integrated Heat Exchange aids thermal stability. 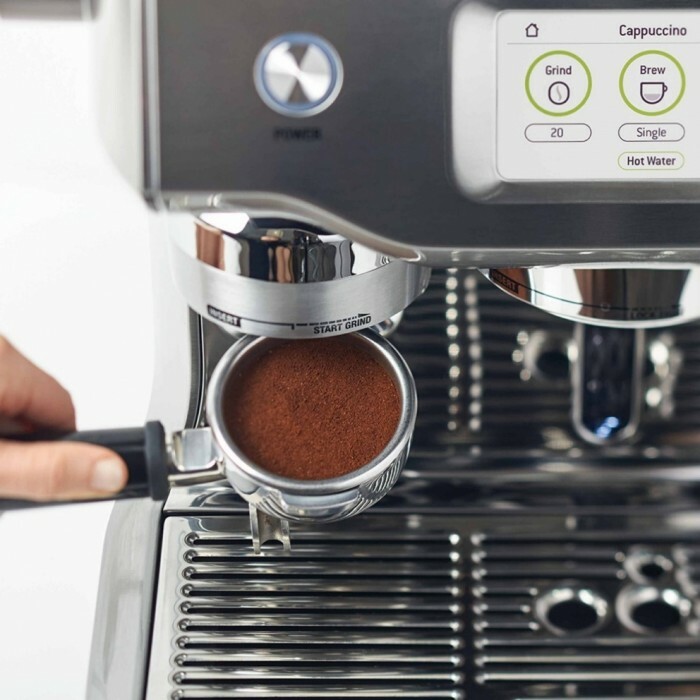 Dedicated espresso boiler with Digital PID control delivers precise water temperature. Heated group head–PID controlled embedded element maintains thermal stability.